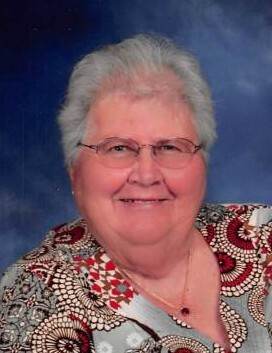 Dona Rotter, 78, of Fergus Falls, died Tuesday, August 21, 2018, at PioneerCare in Fergus Falls, surrounded by her family. She was born on July 24, 1940 in St. Paul, MN, the daughter of Raymond and Dorothy (Gruchot) Rotter. She attended St. Bernard’s Catholic School and graduated from Washington High School in St. Paul. After the birth of her three children, Dona started a professional driving career, which spanned over 30 years working as a safety director, driving school buses and motor coaches, and providing drivers training. She loved to be behind the wheel, and taught many people, including family members how to drive. A farm girl at heart, Dona loved her small hobby farms, one in Stacy and one in Bemidji, MN called Painted Acres. She raised miniature horses who were trained to pull a cart for show, chickens, palomino horses and the infamous fainting goats! She enjoyed creating things from wood, making clocks and tables from cypress wood trees. Her family’s love for music was evident throughout her lifetime. Dona played the piano, organ and accordion, as well as guitar, banjo, ukulele and the harmonica. A campfire was an invitation for her to play the guitar and sing. Dona was a warm, welcoming person, even the neighborhood kids called her Auntie Dona. Her family; siblings, nieces and nephews, children, grandchildren and great-grandchildren were her joy. There wasn’t anything she wouldn’t do for them. The survivor of two major brain surgeries, she was an exceptionally strong woman. Dona was preceded in death by her parents; two infant brothers; and by Marty Carver and William Ricci. She is survived by her children, Dawn (Mike) Clark of Fergus Falls, William (Kim) Ricci of Sebeka, MN, and Roger Ricci of Bemidji, MN; 10 grandchildren, Devon, Tyler, Ashley, Tianna, Jason, Tabitha, and Andrew, Mario, Vincent, Sophia; 17 great-grandchildren; four siblings, Marlene (Fritz) Nothacker of Florida, Kathy (Bob Blaiser) Thorsten of Wisconsin, Raymond (Kathy) Rotter of Duluth, and Ronald (Lenora) Rotter of Chisago, MN. Visitation: 4 – 6 PM Monday, with a 5:45 PM Prayer Service, at Glende-Nilson Funeral Home, Fergus Falls, and one hour prior to services at the church.